Carbon Monoxide (or CO) is a colorless, odorless gas formed when a compound containing carbon burns incompletely because there is not enough oxygen. It is present in the exhaust gases of automobile engines and is very poisonous. It is toxic to hemoglobic animals, both invertebrate and vertebrate, including humans when encountered in concentrations above about 35 ppm, although it is also produced in normal animal metabolism in low quantities, and is thought to have some normal biological functions. Carbon Monoxide (or CO) is a hematopoietic agent because hemoglobin in blood can absorb it 200 times more than oxygen. Therefore, specially in closed spaces, CO works as an asphyxiant by drastically depleting the blood’s ability to carry oxygen. 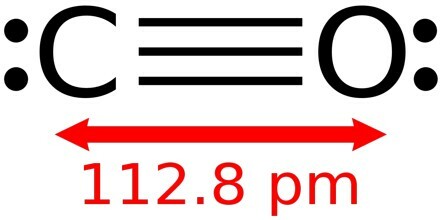 It is the simplest oxocarbon and is isoelectronic with the cyanide anion, the nitrosonium cation and molecular nitrogen. In coordination complexes the carbon monoxide ligand is called carbonyl. 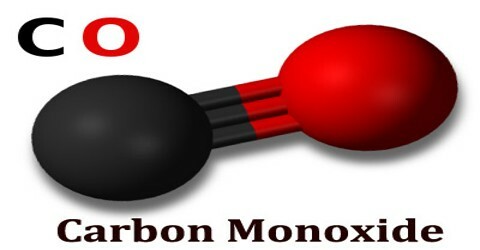 Carbon monoxide’s toxicity is a consequence of its absorption by red blood cells in preference to oxygen, thus interfering with the transport of oxygen from the lungs to the tissues, in which it is required. Indication of carbon monoxide poisoning include headache, weakness, dizziness, nausea, fainting, and, in severe cases, coma, weak pulse, and respiratory failure. is sparingly soluble in water, but is soluble in ethanol and in benzene. and, is an important industrial gas, which is widely used as a fuel. It is also an important reducing agent in the chemical industry. Carbon monoxide (CO) is an important industrial gas, which is widely used as a fuel. It is also an important reducing agent in the chemical industry. Large quantities of aldehydes are produced by the hydroformylation reaction of alkenes, carbon monoxide, and H2. Hydroformylation is coupled to the Shell higher olefin process to give precursors to detergents. Carbon monoxide strips oxygen off metal oxides, reducing them to pure metal in high temperatures, forming carbon dioxide in the process. 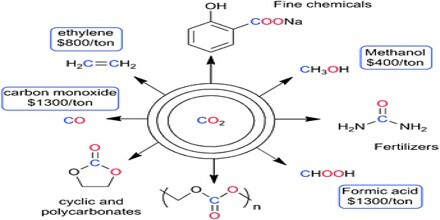 Carbon monoxide is not usually supplied as is, in gaseous phase, in the reactor, but rather it is formed in high temperature in presence of oxygen-carrying ore, carboniferous agent such as coke and high temperature. 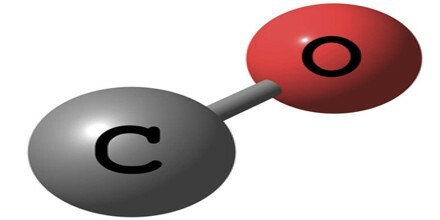 Carbon monoxide also reacts with certain metals, especially iron, cobalt, and nickel, to form compounds known as carbonyls. Some of the carbonyls have unusual physical and chemical properties that make them useful in industry. The highly toxic nickel tetracarbonyl, for example, is used to produce very pure nickel coatings and powders.